CLOOS robots are not only used for welding tractor cabs at AGCO Fendt. 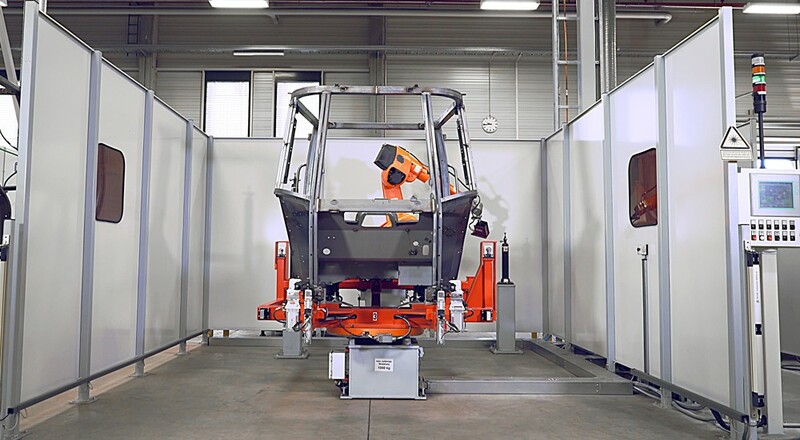 In the test cell, fully welded tractor cabs from the new line are measured in 3D and tested for tolerances. 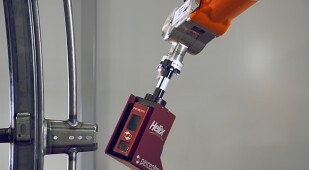 The heart is a CLOOS QIROX QRC-410 welding robot which is mounted on a base and equipped with modern sensor technology by Perceptron. 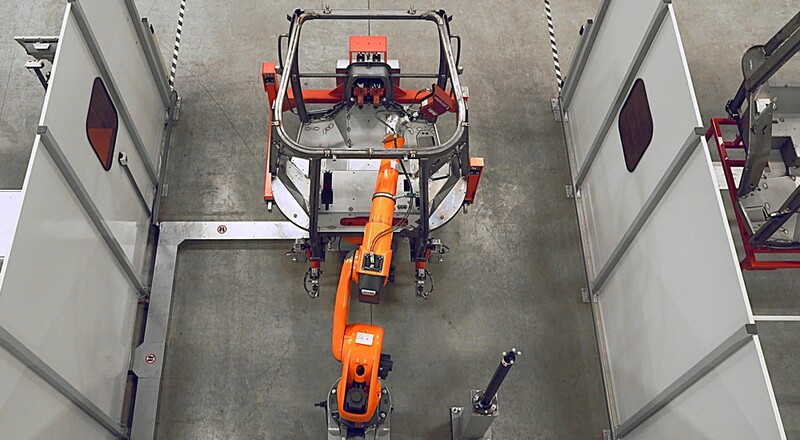 During the testing process, the robot moves to defined points on the cab and measures them. 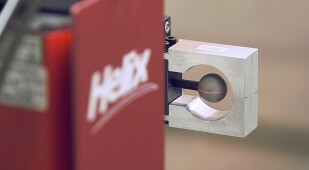 The software displays precisely which points are being measured and whether the individual points are within the permitted tolerance. which are only sent for further processing after successfully passing the inspection.